Ratan Tata Invests in Big Data Startup - A Leading Light? In April 2015, we recommended Kellton Tech, considering the fact that the company is focusing more on Big Data, the next generation technology. The stock has doubled from the recommended rate and now in consolidation phase. Also you might have heard about a company named Cambridge Technology, which focus only on cloud and big data which had a mad run from Rs. 5 to Rs. 140 in just a matter of 8-10 months. 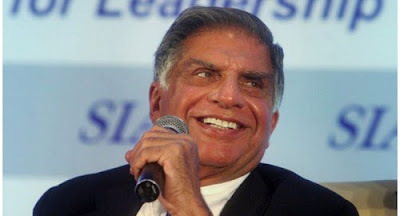 Now realizing the big potential of big data, Ratan Tata, Tata Sons chairman emeritus and prolific investor, has invested an undisclosed amount in Chennai and Singapore-based big data analytics startup named Crayon Data. According to a statement., the investment was made by Ratan Tata in his personal fund. Co-founded in 2012 by IIM Calcutta graduates Srikant Sastri and Suresh Shankar, Crayon Data last raised $10 million in funding from Singapore-based Jungle Ventures and Spring Seeds. Recently, Ratan Tata was also roped in as a special advisor by Jungle Ventures. “We are excited and honored. To meet Ratan Tata and have our vision validated by him is an accolade in itself,” Sastri said. Crayon Data has an engine that helps big enterprises with the big data capability to offer ultrapersonalized choices to consumers. It is developing what it calls a “consumer taste fabric”, which maps choices across 15 categories using machine-learning and complex algorithms. This taste fabric is then mapped to vast internal (enterprise) and external (online) data sets to provide a set of personalized choices to consumers. The company has 100 employees in offices spread across New York, Dubai, Chennai, Singapore and London. The startup has been accredited as one of the most successful and innovative big data start-ups in 2014 and 2015 by global platforms such as TiEcon, CEBIT, IBM Watson, Intech50 and OrangeFab. “We have always strongly believed in Crayon’s proposition. Srikant and Suresh, with their years of experience in Marketing and Analytics, have always had a clear vision of the value Crayon can bring to consumer-facing enterprises,” Anurag Srivastava of Jungle Ventures said. Ratan Tata, after stepping down from an active role in the Tata Group, has become an influential investor in startup companies, both in India and abroad. Tata has invested his money into several internet companies and startups including Paytm, Ola, Cardekho, healthcare platform Lybrate, lingerie etailer Zivame and women's clothing brand Kaaryah. In addition to Jungle, Tata serves as an adviser with Kalaari Capital and IDG Ventures. He has invested in nearly a dozen of Kalaari's portfolio companies including Snapdeal, UrbanLadder, Holachef, YourStory and Bluestone. With the above story I did not know which company you are referring to invest. Please confirm. is it CTE or Kellton.... Can we still buy these stocks after this huge run. Is kellton tech still a good scipt at CMP for long term? Thanks for response. Appreciate it. I can you let me know the script name on BSE/NSE, couldn't find it.